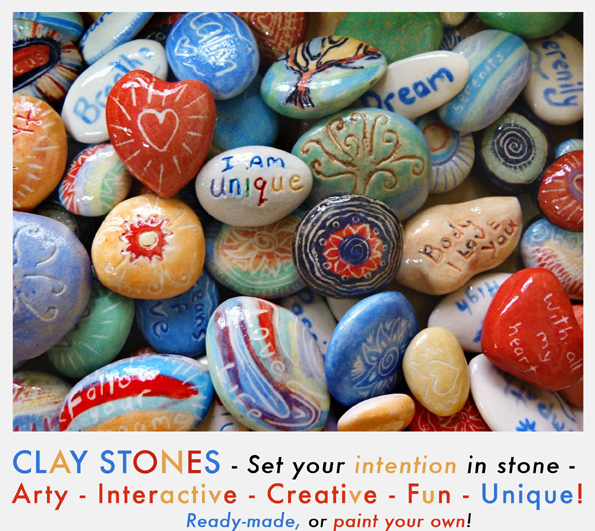 A new workshop I am offering: CLAY STONES ~ Set your intention in stone~. This is a unique workshop where you can paint your own clay stones. Fun for any event including festivals or you can host in your own home. 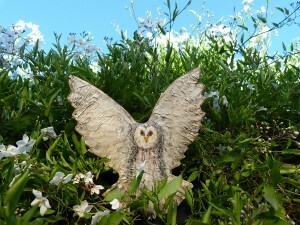 I am happy to set up at events and create an art work from all the stones painted and return to you when fired. I also offer personalized name stones for weddings or any life event you want marked in stone, individually hand made, designed and painted. 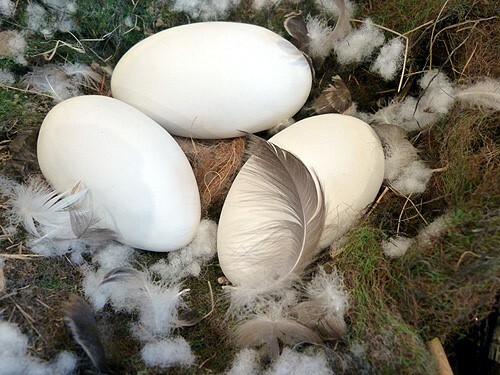 Excited to be running a workshop at Seven Sisters Festival making animal guide paper sculpture. I have just completed an Artist in Residence at Brady Road Kindergarten making a Ceramic Mural with the ninety children whom frequent the center. 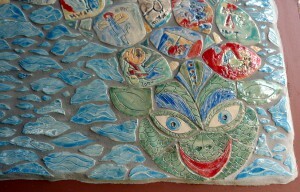 It was so much fun and we created a sea monster out of all the tiles that were individually made by each child. 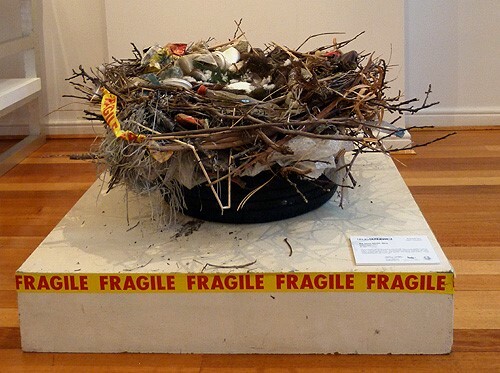 Group exhibition of studio artists from Gasworks Arts Park November 2013.